Alternative finance has been welcomed around the globe as an important innovation in democratising access to capital and investment opportunity. This relatively new industry was supposed to open up the closed networks of traditional finance and rewrite established conventions, yet four years in and female engagement in the industry is still extremely low. Equity crowdfunding, in particular, was hailed as a quantum leap for female entrepreneurs who often face an uphill battle when raising capital because men make up the majority of angel investors and venture capitalists. 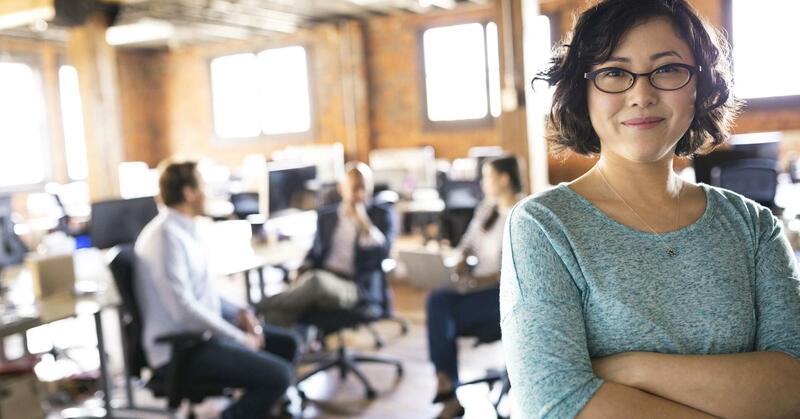 As recently as April, tech research firm CrunchBase found that only 10 per cent of the world’s venture capital investment goes to female founders. Crowdfunding has led to more investment in female-led businesses and platforms report the number of female investors is increasing. In March Crowdcube declared that alternative finance was helping to redress the balance for female investors and it revealed that a quarter of investors on its platform are women. If we compare these numbers against a backdrop of research which shows that women own 48 per cent of Britain’s assets it is fair to say that the alternative finance industry still has a long way to go to level the playing field and become more attractive for female investors. Why are women slow to participate in alternative finance? There are reports that suggest women are generally more risk-averse than men and so less likely to lend or invest their savings. Another theory is that women discuss or brag less about their personal financial arrangements which result in a lack of female influencers or role models in the industry to lead or guide their counterparts. The unconscious bias throughout the sector doesn’t help, even attending our own event, the AltFi Europe Summit in London earlier this year felt like a summit of men. My very unscientific estimation of the number of females at the event would struggle to hit double figures as a percentage of the total attendees. The AltFi events are an ensemble of the who’s who in alternative finance and delegates include platform owners, executives, influencers and experts in the industry. So if the sample is representative of the power players in the sector there is no surprise platforms have a hard time engaging female fundraisers or investors. Not all the industry participants have sleep-walked their way back to 1996. SyndicateRoom reports a recurring higher ratio of female-led campaigns across its platform (currently 43 per cent female-led pitches) and says this is down to its’ diverse team. A quick glance at the other largest UK platforms shows that only five out of the 22 current campaigns on Crowdcube are female-led (22 per cent) and Seedrs is lower with only seven out of the 38 pitches led by a woman (18 per cent). SyndicateRoom also works in partnership with Angel Academe, one of the Business Angel Networks which is a pro-women (but not women-only) angel investment group focused on technology. The group says that most, but not all, of its angels, are women and that they support ambitious women-founded and led technology businesses. The clear lack of diversity in the industry and a failure of existing players to effectively manage the gender funding gap has driven two high-profile business leaders, Debbie Wosskow, the CEO of home sharing platform Love Home Swap, and Anna Jones, the former CEO of publisher Hearst Magazines UK to launch a new female-focused platform, AllBright . AllBright claims to be the first funding platform of its kind in the world and will combine an angel network with a crowdfunding platform as well as provide access to vital business resources and learning via its academy. The venture is more than an idealistic opportunity to readdress the gender funding gap, as experienced savvy business leaders, they know that where there is unmet demand there is also a clear business opportunity. AllBright says that the number of female entrepreneurs is doubling with each generation and it recognises multiple monetisation opportunities across the funding life-cycle of these businesses. There is no doubt it will be tapping an infinite supply of female entrepreneurs who have had a hard time finding funding. And to tempt investors to its enterprise AllBright quotes statistics showing female founders deliver 35 per cent higher ROI than their male counterparts. The emergence of one dedicated fund/platform to serve women will not alone redress the gender balance in alternative finance but its emergence might be a wake-up call to other players to do more if they don’t want to miss out on the opportunities this market demographic offers.